Tesla Motors is aiming to build 7,000 Model 3 vehicles per week by the end of the month. And Tesla Motors CEO Elon Musk said he will check the production lines personally, according to Bloomberg. In an email to Tesla’s staff, Musk said that he is going to walk the entire Model 3 production line on November 27th and November 28th. And Musk said that all assembly lines from the battery cells to finished vehicles will need to be able to support making 1,000 cars per day. 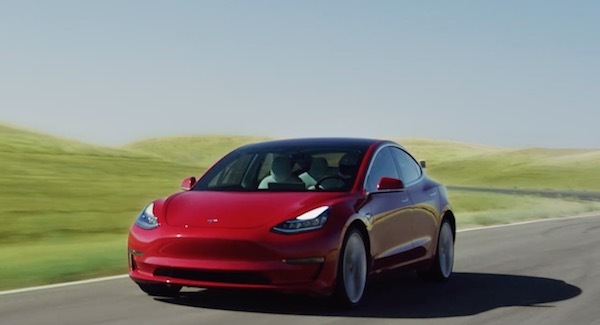 One of the biggest reasons why Tesla Motors reported a surprise profit in the third quarter is due to improvements in production specifically due to a higher output of the lower cost Model 3. Specifically, Tesla reported it produced 80,000 vehicles, of which 53,000 were the Model 3. And last month, Musk said during an earnings call last month that he believes 7,000 Model 3 vehicles per week would be achievable with minimal capital expenditures. “Last quarter was great, but now we need to prove financial sustainability,” added Musk in a separate email via Bloomberg. In order to achieve a “financially healthy quarter,” Tesla will have to produce 1,000 Model 3 vehicles per day in the next few weeks. Plus Tesla will have to continue increasing its output in early 2019 as the company starts shipping Model 3 vehicles to Europe and Asia.